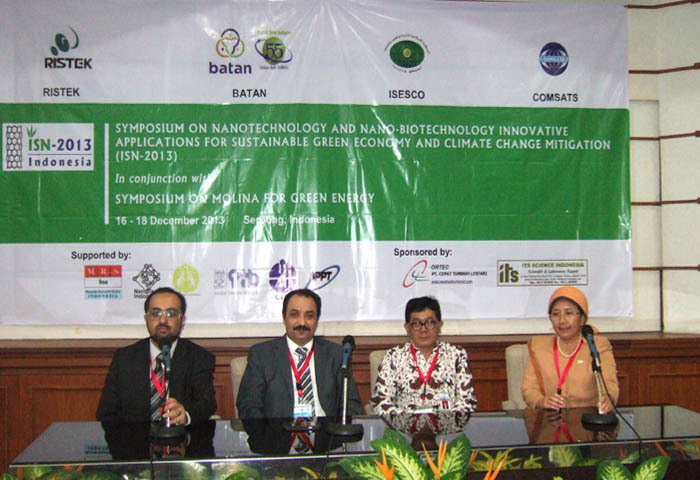 The two-day International Symposium on ‘Nanotechnology and Nano-biotechnology I nnovative Applications for Sustainable Green Economy and Climate Change Mitigation (ISN-2013)’ successfully concluded in Serpong, Indonesia, on December 17, 2013. 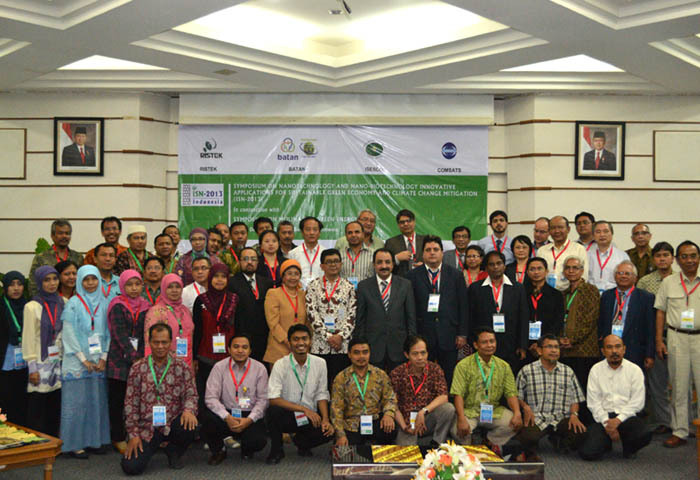 The symposium was organized by COMSATS in collaboration with the Islamic Educational, Scientific and Cultural Organization (ISESCO), and the National Nuclear Energy Agency (BATAN) of Indonesia. The event was held in conjunction with Symposium on “MOLINA for Green Energy”; the purpose of the latter was to launch and promote national electric cars (MOLINA), indigenously developed hybrid cars by Indonesian research institutions working under the Ministry of Research and Technology, Government of Indonesia. The Nanotechnology symposium was officially inaugurated on December 16, 2013, by Prof. Dr. Djarot S. Wisnubroto, Head of BATAN, on behalf of the Indonesian Minister for Research and Technology, Prof. Dr. Muhammad Gusti Hatta, at the Research Center for Science and Technology (PUSPIPTEK) of BATAN. 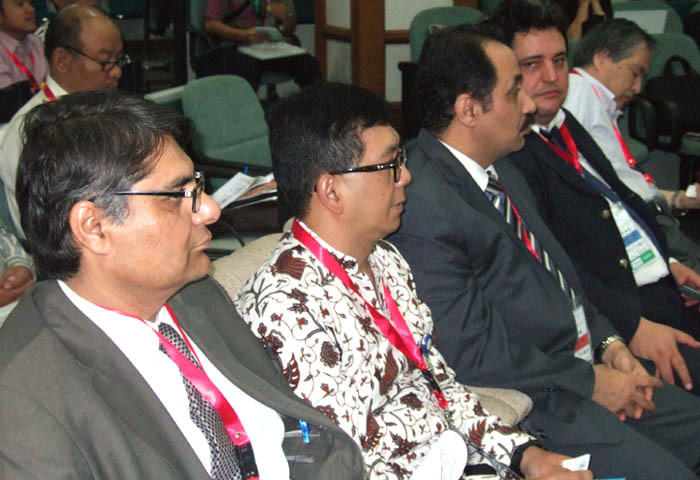 The ceremony was attended by around 65 Indonesian scientists, researchers, engineers, and scholars from institutions, such as National Nuclear Energy Agency, Indonesian Institute of Sciences (LIPI), Bandung Institute of Technology (ITB), Agency for the Assessment and Application of Technology (BPPT), and University of Indonesia. They pledged their resolve to collaborate further in the scientific areas of mutual interest and their intention of holding such events more frequently. They further resolved to form linkages with industry in order to take the innovative ideas discussed during the course of the symposium out of the laboratories and into the real world through mass production. In his inaugural address, Dr. Wisnubroto informed the august gathering of BATAN’s celebration of 55 years of establishment on 5th December 2013. He showed keen desire for the Republic of Indonesia to become a Member State of COMSATS and BATAN’s inclusion in COMSATS’ Network of International S&T Centres of Excellence. Welcoming the participants, experts and distinguished guests of the symposium, the Chairman of ISN-2013, Prof. Dr. Evvy Kartini, introduced the participants to the symposium’s objectives and expected outcomes. Mr. Amir Ijaz, Assistant Director (Programmes), COMSATS, read-out a message from the Executive Director COMSATS, Dr. Imtinan Elahi Qureshi, in which felicitations and good wishes to all organizers and participants were conveyed. 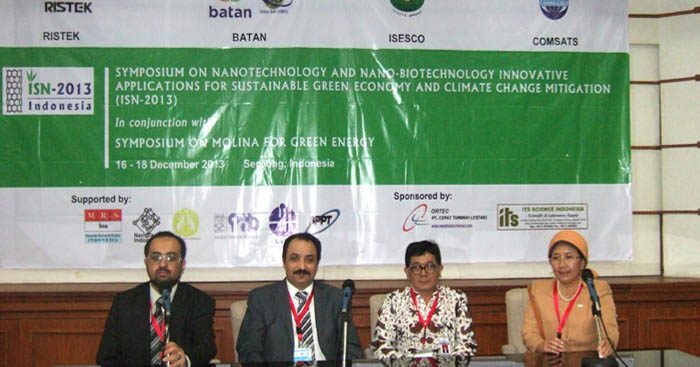 It was informed that as a part of such capacity building activities, COMSATS co-organized four events on various aspects of nanotechnology during the past two years and brought out a publication, ‘Nanotechnology in the Edge of Convergence’, in collaboration with the NAM S&T Centre. A message from the Director General ISESCO, Dr. Abdulaziz Othman Altwaijri, was also read out on the occasion by Dr. Ismael Abdulhamed, Expert at Science Directorate of ISESCO. The technical proceedings of the event spread over 6 sessions, one plenary lecture session comprising talks by experts alternated by two parallel technical sessions comprising technical presentations. There were eight plenary lectures by experts from Australia, China, Egypt, Indonesia, Pakistan, and Saudi Arabia, while 22 participants from Australia, Bangladesh, China, Indonesia, Iran, Japan, Malaysia, Morocco, and Pakistan made technical presentations. The topics of these talks and presentations related to applications of nanotechnology and nano-biotechnology in areas of energy, environment, architecture, medicine, agriculture and climate change mitigation. Some of these were Nanotechnology for Energy Efficiency; Roadmap of R&D of National Electric Vehicle; and Development of Advanced Nuclear Power Plan and Its Influence to Green Economy. Technical talks during the parallel sessions focused on Green Energy and the various applications of Nanotechnology and Nano-biotechnology. Topics covered under these themes inter alia included, Boost Performance of Microbial Fuel Cells in Nanoscales; Innovative Nano Material for Solar Energy Harvesting; Nano Materials for Environment and Energy Applications. 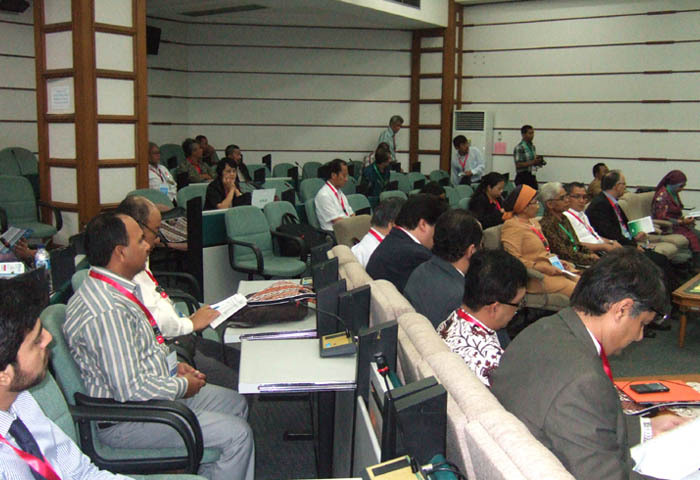 Other highlights of the event included a poster session and a roundtable discussion session, during which senior scientists made on their observations on the experiences and findings shared during the event and made recommendations to develop courses of action in adopting nano-technology for progress. The event was concluded on December 17, 2013. The Chairman of the symposium gave the Concluding Remarks and Mr. Ijaz gave a Vote of Thanks representing COMSATS.